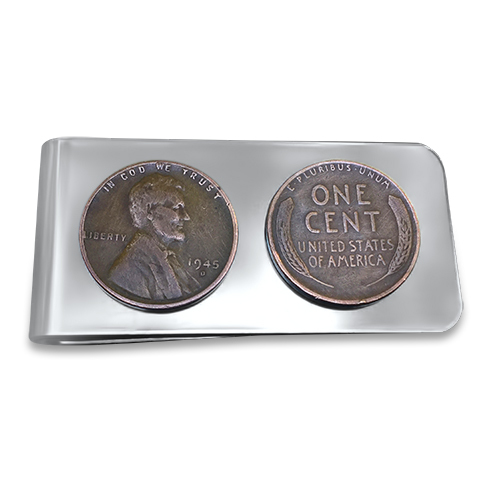 This money clip can be made heads or tails on a strong surgical steel back (see options). This coin jewelry money clip can be made from your coins for $20. This handcrafted coin jewelry money clip is also made in the USA.